MEET THE CAST - I'll Make You Famous Entertainment Inc.
Tai Habersham is an ambitious actor, singer/songwriter, and social media personality, who is focused on turning his dreams into reality. From a very small town Midville, GA, he got his start in church, writing and directing annual church plays for his community from 2007-2012. Now, as a professionally trained actor new to the industry, he has been awarded opportunities he never saw possible. He has been involved in 9 theater productions, and has worked on the sets of Greenleaf and Pitch Perfect 3. His love for music also started at a very young age. Tai has been singing since the age of 5. Quite the church boy! He spent many years in band and developed a love for writing and producing songs over the years. His first iTunes release “Surrender” was released in 2015, and his first gospel project Lessons is in the final production stages. Tai’s gifts have earned him nearly 200,000 combined followers across social media platforms. His comedic church skits as “Prince Tai” have gained attention from celebrities Drake, Missy Elliot, Tyrese, Erica Campbell, and many others. Tai gives God all the glory for where he is, and where he is going! Acting has been her passion ever since she was 4 years old standing in her grandmother’s living room reciting lines to “The Bug’s Life". Multitalented, 21-year-old Essence Imani fell in love with putting her personal life on pause to step into the life of another. Just the thought of moving an audience’s emotions with character play, body movement, or voice gives her chills. 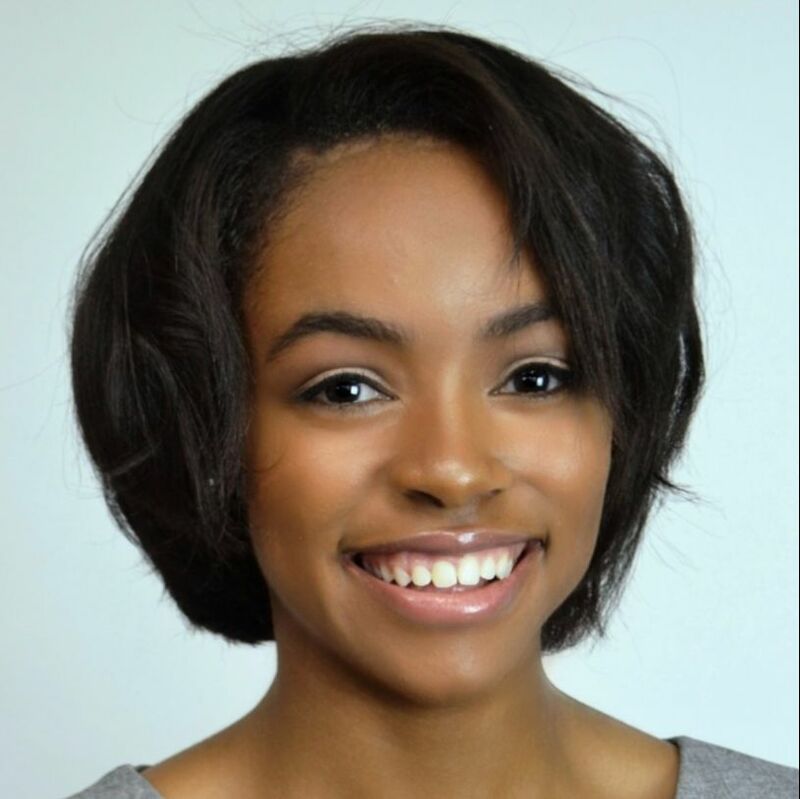 After graduating from Crossroads College Preparatory school, Essence left Saint Louis behind to begin a new chapter in Los Angeles, California where she attended the American Musical & Dramatics Academy for 2 semesters. Self-willed and disciplined, Ess now resides in Atlanta, Georgia, continuing her education in the arts through self-teaching. She enjoys channeling through her acting, singing, dancing, and modeling skills to pull a person away from the real world and into a fantasy. Essence Imani will continue her journey as an all-round performer and plans to incorporate some of her hidden talents to help create a new atmosphere for the world! Adeeja Rochele’ Anderson is a triple-degree graduate from Arkansas State University in Production, Journalism, and Sociology. Anderson sung her first tune at age three in her grandfather’s church, “Praises Go Up” being one of her first written songs. Anderson was the youngest writer, gender or race, for African-American Perspectives magazine at age 18. Anderson also wrote, hosted, produced, and edited her own show My Life’s Playbook, which won the top award for best produced television series. The show broadcast/webcast on ASU-TV, Hero Sports in Washington, D.C., and Peach State College Sports. In addition to her roles mentioned previously, she was crowned Miss YPWW (Young People Willing Workers) of the Arkansas First Jurisdiction. Years later, she headlined David Ashley’s “Praise Project” at age 21. Anderson has worked with young people in and out of church, and has learned that “representation is important…everything [she does] is bigger than [herself]”. Adeeja Rochele’ has starred in A Midsummer Night’s Dream as Titania, Hairspray as The Dynamite, the television show Animal Control, and the film Masked Struggles. This is her first stage play tour. As a child, Jennifer Myles began singing in the church, with local singing groups, and in city-wide mass choirs. Jennifer has moved hearts and touched the lives of many with her warm, soulful, alto tones of Gospel, Jazz, and Neo-Soul. This New York native willingly gives of her time and talent in efforts to uplift the spirits of others. Since moving to Atlanta, Jennifer has served as background vocalist for: Juanita Bynum, Kurt Carr, Darwin Hobbs, Jonathan Nelson, LaShun Pace, Sha Simpson, and Hezekiah Walker, just to name a few. Jennifer’s love of music and theater has afforded her roles in Andrew Lloyd Weber’s 2009 musical Jesus Christ Superstar GOSPEL (Alliance Theatre), and Dominion Entertainment’s Black Nativity (SouthWest Arts Center). She currently serves as a praise and worship leader for the Beulah Missionary Baptist Church in Decatur, GA. You can hear her sing and lead the congregation in a soul-stirring worship experience on any given Sunday. Jennifer truly understands that her God-given talent is not for her, it’s for all who have an open heart, and a lending ear. Every day she strives to live up to the mantra: “If I can help somebody as I pass along; if I can cheer somebody with a word or song; if I can show somebody he is traveling wrong; then my living shall not be in vain." Christopher Poston is a native of Oakland, California. He is currently in his third season as 1st Tenor with the Oakland Symphony Chorus. Chris sings in several choirs in the Bay Area including the Oakland Symphony Chorus Chamber Chorale, the Pacific Mozart Ensemble, the Golden Gate Symphony Orchestra and Chorus, and the Oakland Bay Area Community Chorus. Chris serves as Praise Leader at Acts Full Gospel Church of God in Christ, and is the former Executive Director for the Mary Ann 'Mother' Wright Foundation which serves the poor and homeless in Oakland, the Bay Area, and in communities throughout the world. Tanisha Cordellia Cannedy, is the daughter of two of the most beautiful, loving parents, Elton Cannedy and Bernadette and Larry Byars. She was born and raised in North Carolina, and that’s where she first learned that she had a love for singing. Ms. Cannedy is a proud single mother and graduate of Fayetteville State University where she sang in all the Choral and Gospel Choirs. In school, she traveled and meet a lot of great singers who encouraged her to be the artist she is today. In 2009, she had the opportunity to try out for BET’s Sunday Best and made it through to the top 60. She has sung background for several professional, well known artists. She is currently enrolled in a Master’s program for Human Services. Mainly Ms. Cannedy is a child of God, anointed and appointed for this season and time to deliver the gospel through song, her acting, spoken word and her lifestyle. She wants to thank God, her parents, her Spiritual Mother, and the First Lady and Overseer of her church for their encouragement and continual support as she moves in the appointed direction that God has directed her. Theresa Lang is an Atlanta native who found her love for singing in the church choir as a young girl. She comes from a strong family of singers and parents who encouraged her to pursue her dreams. She’s an Actress, Gospel Recording Artist, Songwriter & Producer. For the past 4 years, she has appeared on Oprah Winfrey’s HBO Film The Immortal Life Henrietta Lacks where she was the Song Leader teaching the old spiritual hymn, “Guide My Feet”. She’s also appeared on Tyler Perry’s drama series, If Loving You Is Wrong, TV One, Born Again Virgin, Short Films Eula Grace, Sneaky Peaky and TV pilot Harper’s Radar. Theresa has held lead roles & sang in several stage plays including Rimshot Urban Musical, The 11th Hour, Matrimony, A Cup Of Tea, Love Doesn’t Have To Hurt and Lord Why Can’t I Do Right?. Theresa released her first CD entitled Walking With God where she wrote, produced, arranged music and contributed her vocals as lead and background. She has performed on Atlanta Live TV, Club 36 TV, Stan Watson TV, People TV, SCLC National Convention, Georgia State Capitol & various churches and community events. Brandon Muniz was born in East Ridge, TN in 1987 and grew up in Chattanooga. He was born to Pilar Velez and Felix Muniz from Aguadilla, Puerto Rico. Growing up, he was always involved in music, drama and sports. Having a passion for the arts at a young age, in the mid 1990's, he joined Ambiance Models & Talent and developed acting techniques along with modeling and team dance. In 1995, he participated in IMTA in Los Angeles and auditioned for numerous movies, TV shows and commercials. In 2016, he moved to Kennesaw, GA and became very engaged in his acting career and was featured in a few student films and commercials. He successfully completed over 10 years in the corporate world working for fortune 500 companies and has returned to his true passion of acting. Robert Short was born in Indianapolis, Indiana, but raised in Columbus, Georgia. He became interested in acting at a young age, but didn't pursue it until he was an adult and moved to Atlanta, Ga. In 2015 he landed a role in Kennis Reaves' Remember the Reason and discovered that he loved theatre. Since then, he has landed lead roles in theatrical productions and several web series. Robert plans to also pursue T.V. and film. Robert is blessed to work with the Godfather of Urban Theatre, Shelly Garrett, in Richard Torrence's Lord Why Can't I Do Right. Be on the look out for this talented young man all over the country! This native of St. Louis, Missouri, always knew her path would be centered around entertainment. Raised in Birmingham, Alabama, she developed a true passion for the performing arts at an early age. She joined the Interested Artists of Birmingham, where she started performing in stages plays. Alice eventually moved to Los Angeles, CA, where she was able to work in various TV, film and stage productions. Some of her credits include: Duke Ellington’s Sophisticated Ladies, Positive Voices, The Wise and the Foolish, The Black History Experience, The Final Calling, The Five Heartbeats, and Special Ladies. It wasn’t long before these productions captured and motivated her attention to learn all aspects of the business. In 2006, Alice returned to her southern roots in which she became involved in the National Association of Black Female Executives in Music and Entertainment-Atlanta (NABFEME), and Kingdomwood International Film Festival (KIFF). She expanded her media, casting and production skills on various production ventures including: The Perfect Pastor, When The Sin Hits The Fan Too, Thick As Thieves, The Couch, The Complex, Insignificant Others, Why Not?, Why Not 2, What God Joined Together, The Ballad of Sweet Auburn, Remember the Reason, and most recently HO. She is very excited about joining the production of Lord Why Can’t I Do Right?.